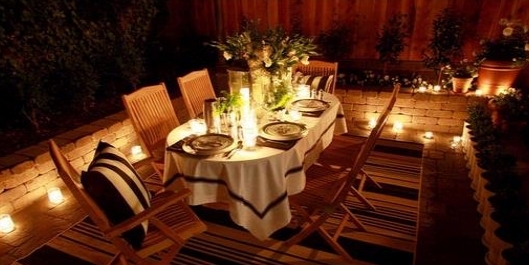 Outdoor dining room can be an enjoyable interaction room, especially if it is located near a park or in an area outside the main building of your home. Utilizing the outdoor space as an area of ​​activity in the home could be the answer for those who love the interaction with the elements of nature. Interaction with the five senses can be a positive effect on your mood. 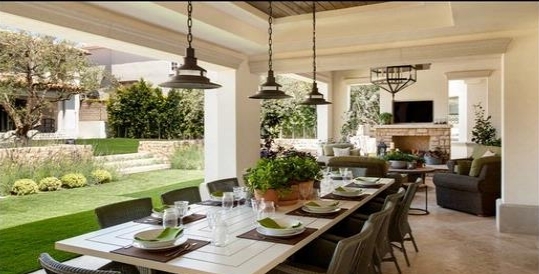 You need to utilize natural elements in the dining room. 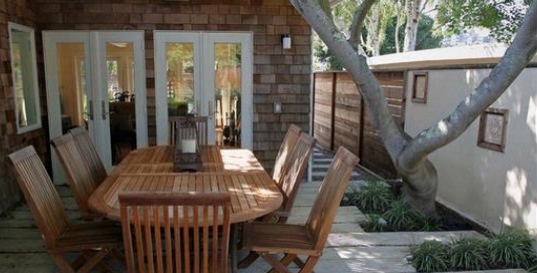 For example, using a wooden deck floor or brick accents rang-forming elements such as walls, columns, or roof. Do not forget, use plants as elements that enhance the walls and the floor area of ​​the meeting or at the other so as to create a balance composition.